Do you hate cleaning your windows? If this is the task that you have never enjoyed doing and it is time to do it again, call our company. Our company can send you a team of professional cleaners who specialise in providing outstanding carpet cleaning services here in Battersea and we can guarantee you a highly efficient, reasonable and convenient service. Pick up the phone and call our company now. 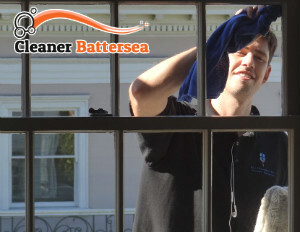 Our professional window cleaning service is one of a kind here in Battersea, SW11 and we would love nothing more than to clean your windows. Our company is offering you a very diligent and careful window cleaning service. Our cleaners have been trained to work very carefully. 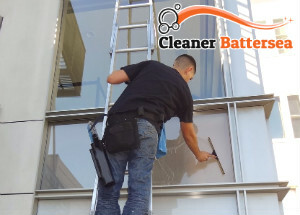 They use professional squeegees and rags and have special telescopic poles that help them reach the highest windows and clean them efficiently from the safety of the ground. What is more, our cleaners use professional window cleaning agents that help them clean much faster and easier and the results are long lasting. With our professional window cleaning service you will see the difference between your window cleaning and a professional one. Our cleaners will clean your windows on the inside and on the outside, leaving them streak-free, spotless and shining. You might even notice that more sunlight is coming through them. Copyright © 2019 Cleaner Battersea. All Rights Reserved.